The exclusive Line 6 modeling technology that lives inside the solid-body Variax uitar enables musicians to easily access over 25 historic guitar sounds, including classic single-coil and humbucker guitars, hollow and semi-hollow jazz guitars, acoustic 6- and 12-string, dobro, sitar, banjo, and many others. Instantly familiar controls work just like any traditional guitar. 500 - Which I have, now out of production but sometimes available on eBay etc. Acoustic 700 – Top of the line acoustic version. Firstly my background is not as a long term guitarist and I not a “tone snob” For me this guitar is perfect, I don’t care if it sounds EXACTLY like a Les Paul (though only 2 of 25 people correctly picked the real LP in an online sound test) what I care about is that I have 50+ different guitars to choose from all with totally distinct sounds including some very convincing Acoustic and Dobro models. I use the guitar exclusively in my home studio – I don’t play live, where it is perfect for switching guitars and tunings without leaving my chair. Many people online report extensive usage live where the ease of switching models between or mid song cannot be matched by any other guitar. Finally a number of people have taken the electronics from the Variax and built their own custom guitars. Companies such as Warmoth sell prebuilt bodies but there have been many creative uses including adding standard pickups and midi pickups for the ultimate flexible guitar. As a guitar the 500 is excellent. It has a Les Paul feel and after having it setup I have not had any significant tuning or similar issues. 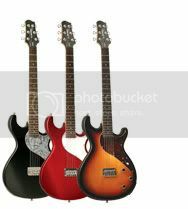 The 700 model has a top of the range body while the 300/600 has Strat style body, with, to me, slightly less of a quality feel. A couple of minor negatives exist for me. Firstly the guitar must be powered. This can be done either through the included XPS box with power provided through the guitar cable, or via a Line6 Pod XTL (XTL only) or using batteries. This power requirement and the extra cables necessary can be awkward at times, especially if, for example, batteries ran out on stage. Secondly, while I have had no problems with my guitar, I constantly fear that, as a micro electronics and processor based technology, it will break and become unusable. Overall this does not seem to be a common problem but it’s a constant fear in a way that would not exist if I were using std pickups. The high price of the models is also a concern for many.